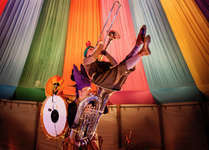 For 20 years Nicole & Martin are on the road with their magic tent and enchant their audience. The fairy tales of the Brothers Grimm are the basis of Nicole & Martin's productions. Children under the age of 5 are not admitted. 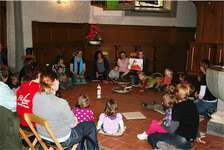 Church service for youngsters in the reformed church Grindelwald. Swiss card game (Jass) in the mountain restaurant Pfingstegg. 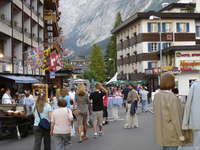 The main street becomes a festival street from 20.00pm until 24.00pm. Several bars, live music, activities and various shows provide somethin for everyone's taste. Free Entrance, no tickets needed. 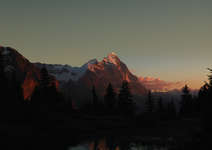 With the Eiger in the background, treat yourself to an open-air cinema evening. A varied program of films for young and old in the heart of town! There will be 5 movie nights and 2 screenings per night. 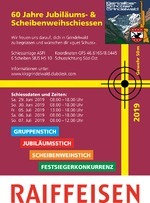 The Eiger Tour, a new concept in paraglider adventure racing, takes place over four days in July in Grindelwald in the heart of the Swiss Alps. 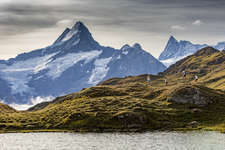 The Eiger Ultra Trail is an extreme event in the Jungfrau Region. The Eiger Ultra Trail is more than 100km long through the Jungfrau Region. 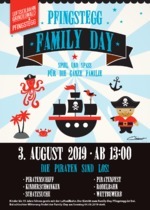 This special day is dedicated to all families: and many other attractions. 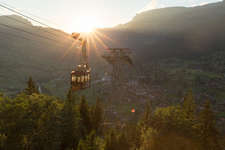 Children under 16 are free on the cable car. 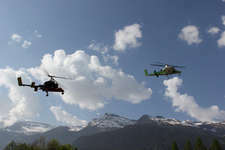 With its 1000 participants, the Eiger Bike Challenge is one of the five largest mountain bike events in Switzerland. 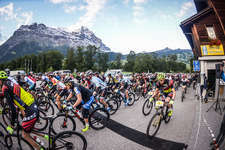 Experience a breathtaking bike race in Grindelwald from an impressive mountain backdrop.